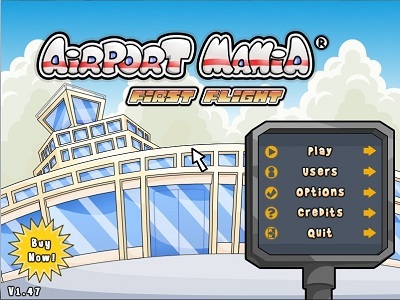 Pack your bags for a trip through the skies in Airport Mania! 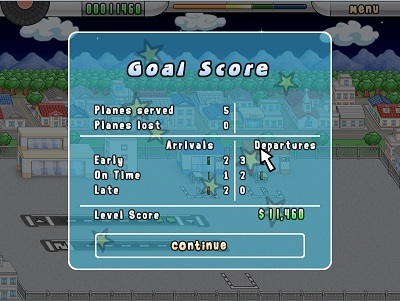 Travel through 8 amusing airports while you land a variety of planes, purchase upgrades, and avoid delays. Stay on your toes as some planes carry precious cargo and will need to land in a hurry, while others might need a trip to the repair shop. But, with good planning, you’ll make it to the gate on time! 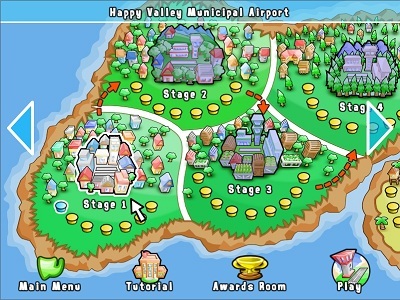 With unique challenges, whimsical characters, and fun that will put a smile on your face, Airport Mania is one flight you can’t miss! First of all, it’s cute. The planes are cute, and if you handle them in good time, they leave the airport all happy. The game is really makes you think. 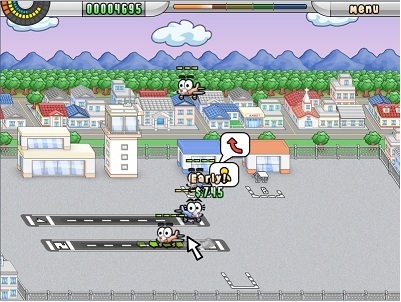 It also has an option to spend your earned cash to buy upgrades at the begininning of each level. The graphics are good and very clear. And the game is challenging. Entry filed under: Review, Sim. 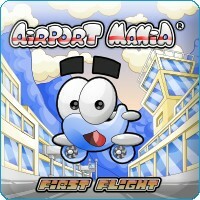 Tags: airport, first, flight, mania.